Read customer reviews of the Allocacoc PowerCube 1.5m with 5 Power Outlets - Blue (5300/AUEXPCBLU). After a purchase, we invite our customers to leave a product review. 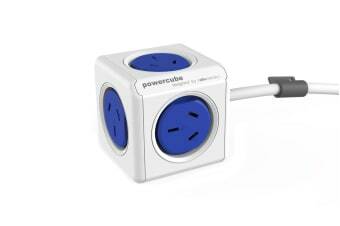 The customer reviews for Allocacoc PowerCube 1.5m with 5 Power Outlets - Blue (5300/AUEXPCBLU) are below.